Daniel Swatek. Journal photo by Jordan Wald. For the first time in a few years, Daniel Swatek went to the beach for spring break. “That was nice,” Swatek said. 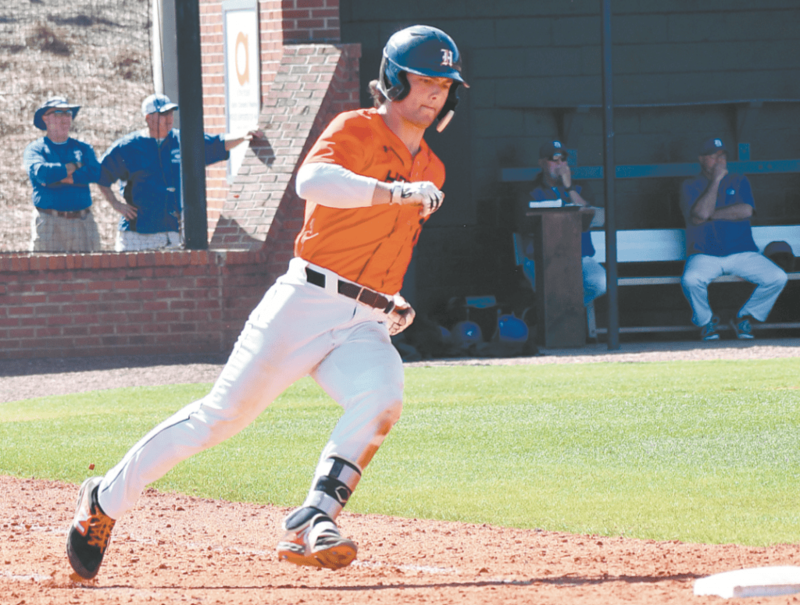 But by midweek, the Hoover senior was back on the baseball diamond, playing the sport he dearly loves as Hoover hosted the Buccaneer Classic. Swatek’s passion for baseball comes from his dad, Dan Swatek, who played for UAB in 1988 and 1989. “I’ve had a bat in my hand just about all my life,” said Daniel Swatek, a left fielder/pitcher/third baseman for the Bucs. “I can’t get enough of it. My dad is eaten up with it like I am. Daniel Swatek has developed into a solid player for the Bucs. During a six-game stretch two weeks ago, he batted .471 with five runs batted in and three doubles. He also earned pitching wins against Mountain Brook and Buford (Georgia), throwing nine innings with 13 strikeouts and a 0.778 ERA while allowing one walk. During the Buc Classic, Swatek had several clutch hits and pitched a complete game as Hoover went 7-1 to win the tournament championship for the second consecutive season. He had two RBIs in Hoover’s 11-1 victory over Houston (Tennessee) in the championship game. Swatek attributes his monthlong success at the plate to keeping things simple. “I try to have the same approach,” he said. “I try to do the same thing every time and use the middle of the field. I also hit with my dad every day. Thirty games into the season, Swatek is still waiting for his first home run. On the mound, Swatek has fashioned a 5-1 record, teaming with Cole Baker as the Bucs’ pitching staff aces. In his first start, Swatek, a 6-foot, 200-pound right-hander, tossed a one-hit shutout with 10 strikeouts against Helena. Swatek was a sophomore on Hoover’s Class 7A state championship team in 2017. In 2018, the Bucs were eliminated by Hewitt-Trussville in the first round. Hoover (22-8) opens Class 7A, Area 5 play this week with three games against Tuscaloosa County. Swatek expects the Bucs to challenge for a title again this spring. Swatek will get a chance to play college baseball, but his recruitment was hampered by an injury. “I hurt my arm last summer and missed the two big tournaments when all the college recruiters were there,” he said. “I had a stress fracture in my humerus bone. I thought it was something wrong with my bicep, so I went to (a) doctor and they found a hairline fracture up my arm. I had to miss six weeks.